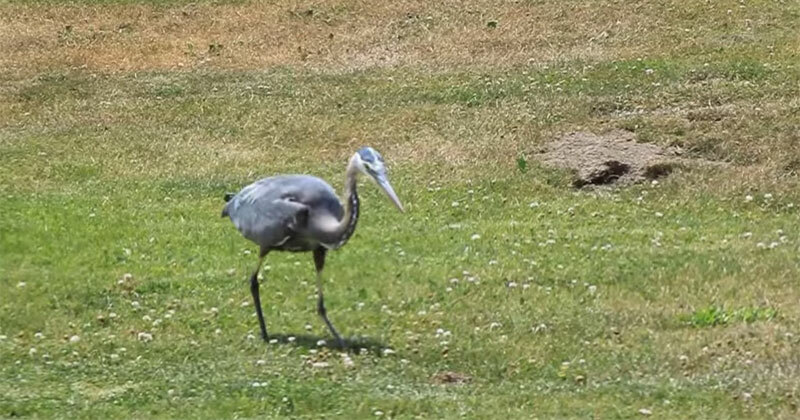 Jessie Garza couldn’t figure out why a Blue Heron was hanging around his yard for the past week. Then on June 26, 2014 he discovered the reason. Huh! Some say Kathy still doesn’t care to this day.